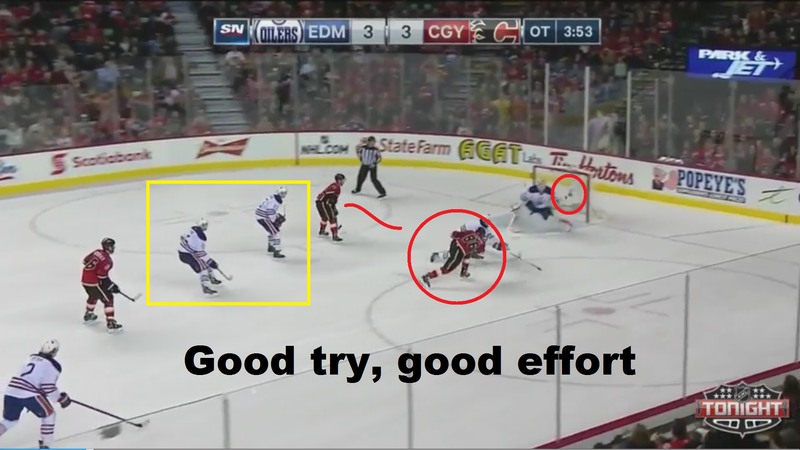 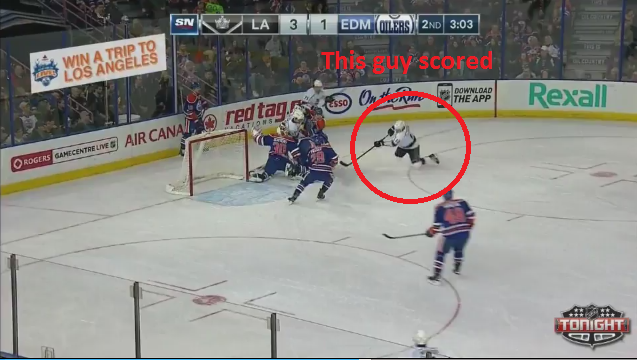 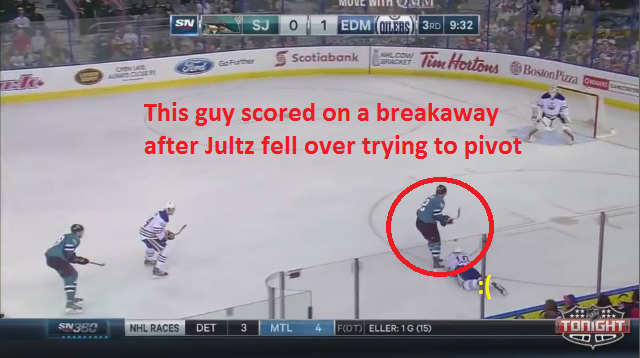 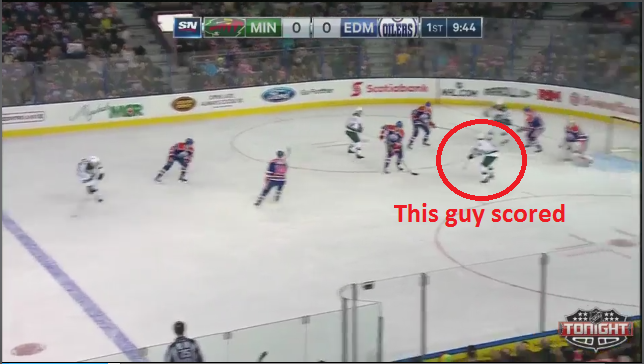 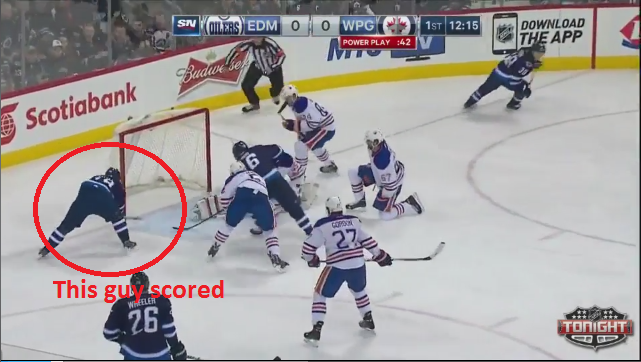 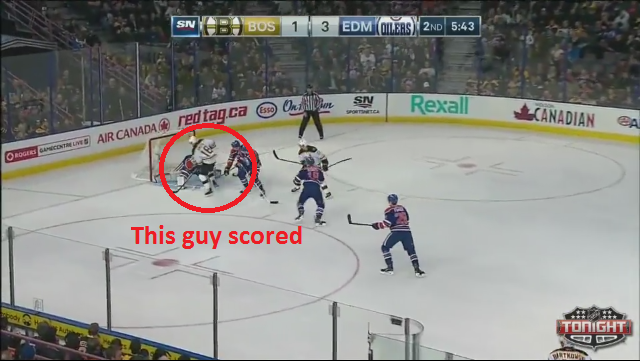 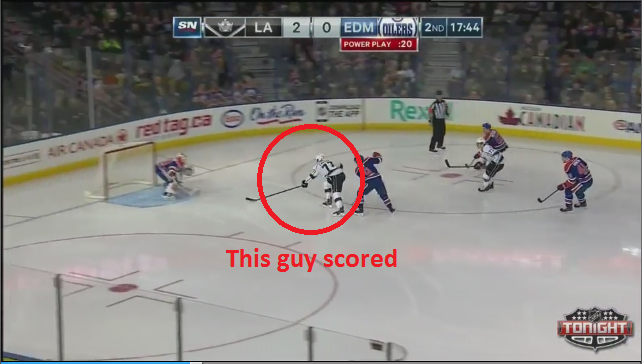 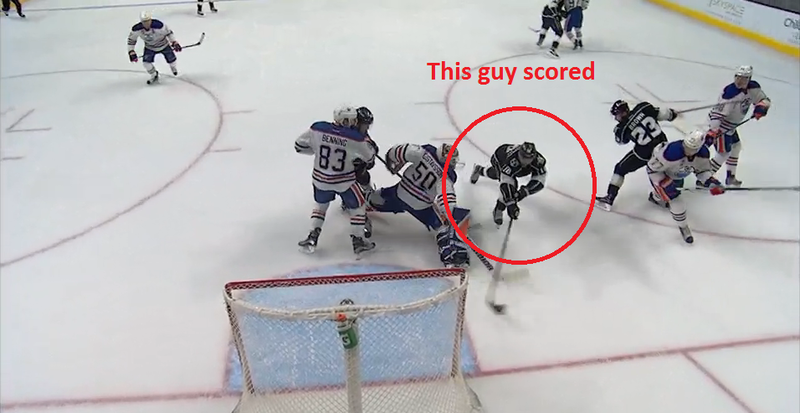 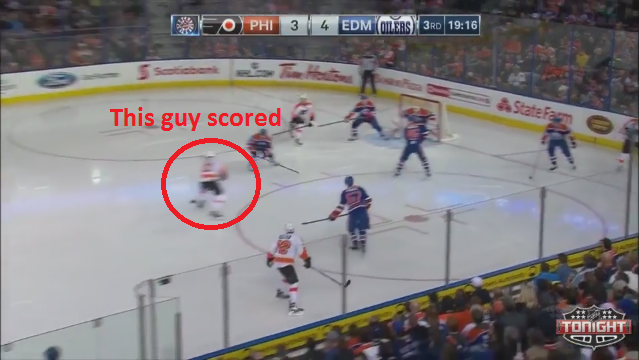 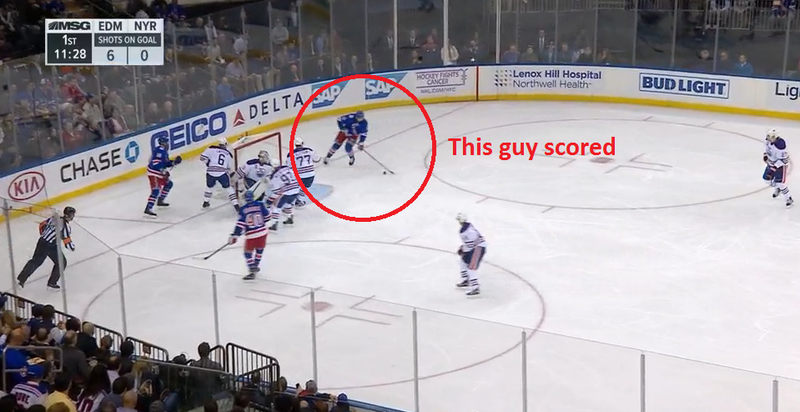 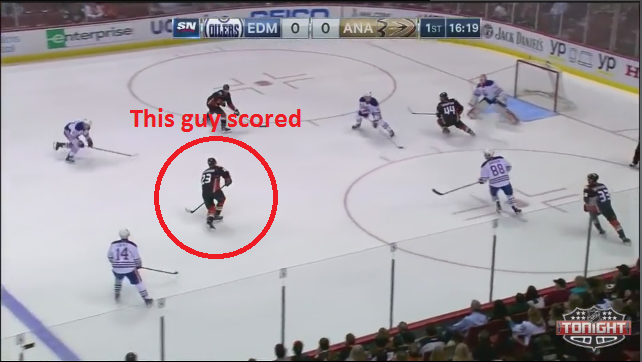 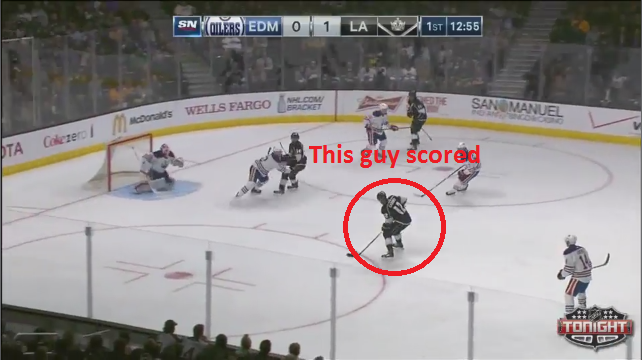 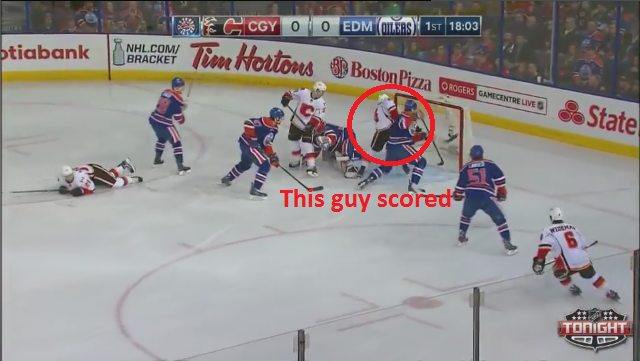 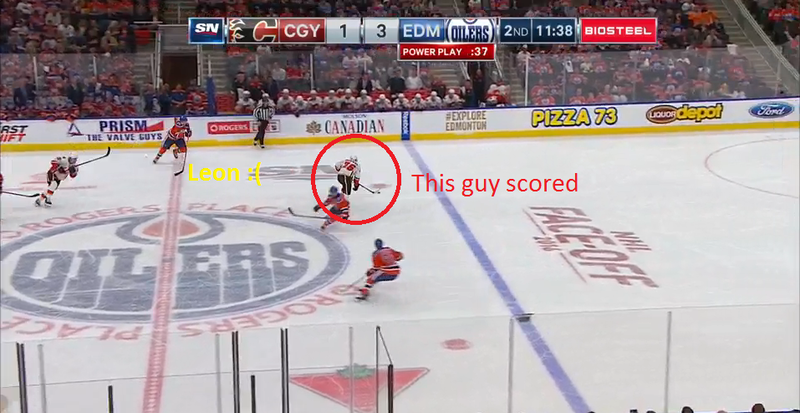 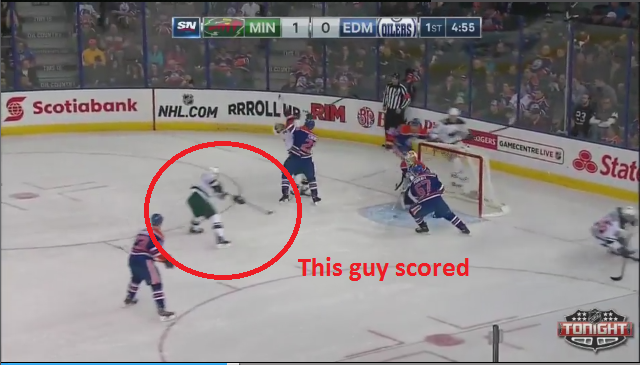 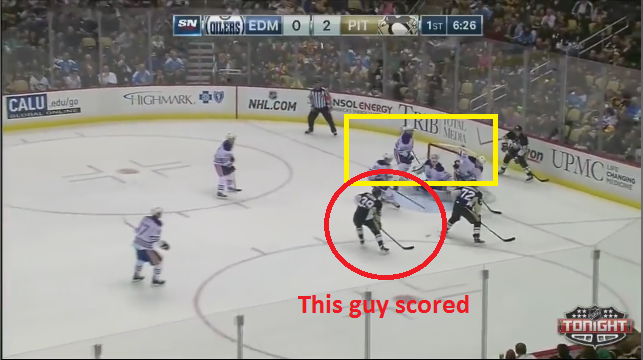 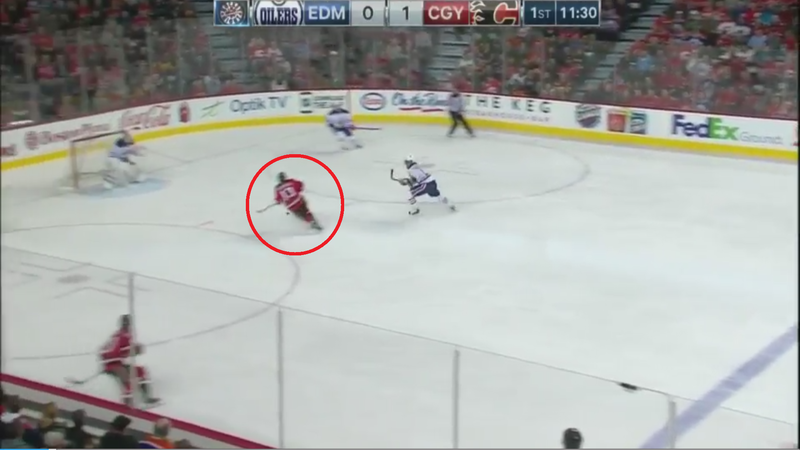 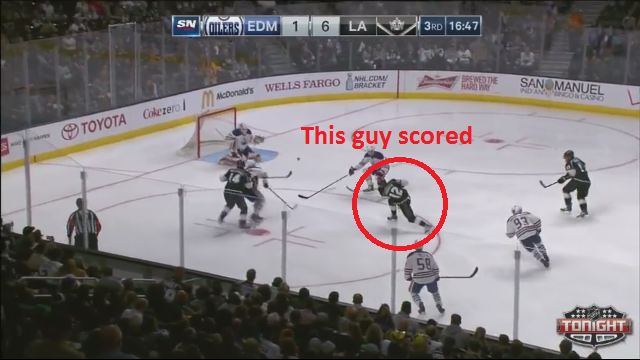 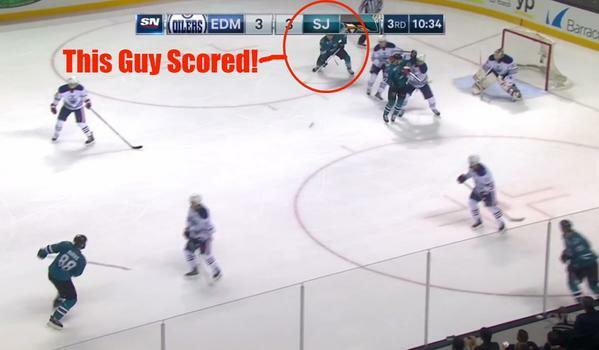 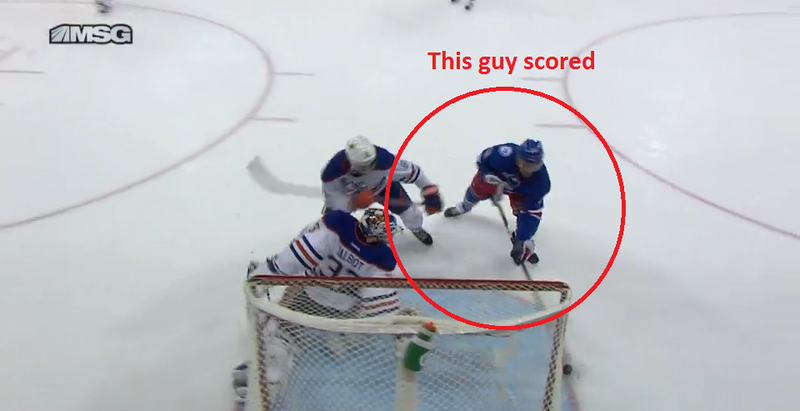 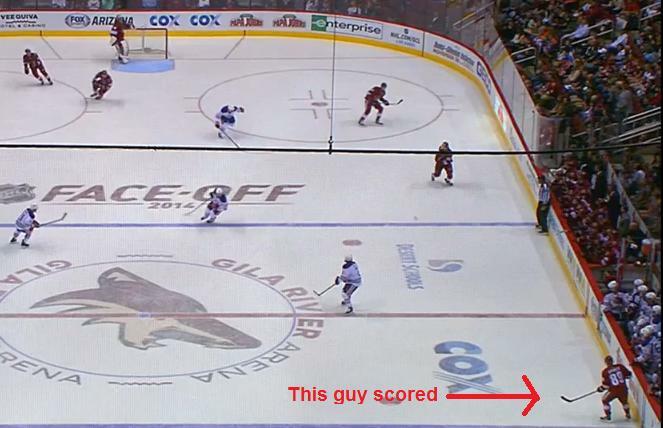 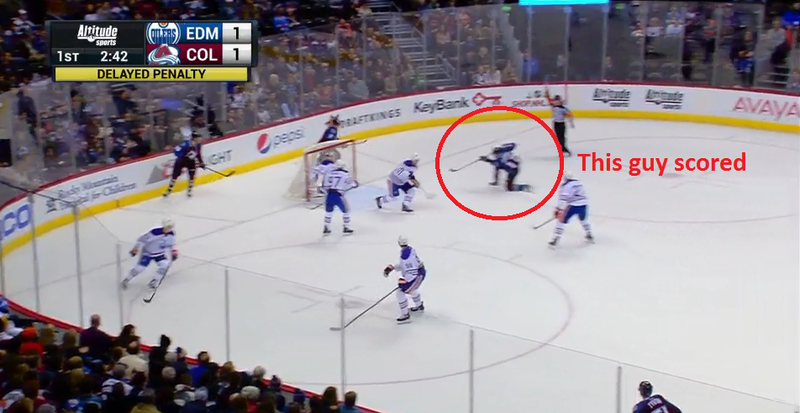 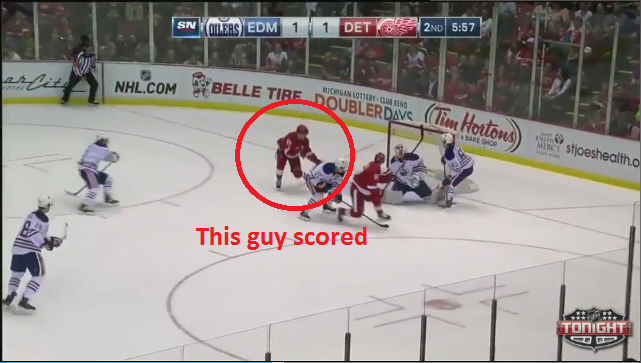 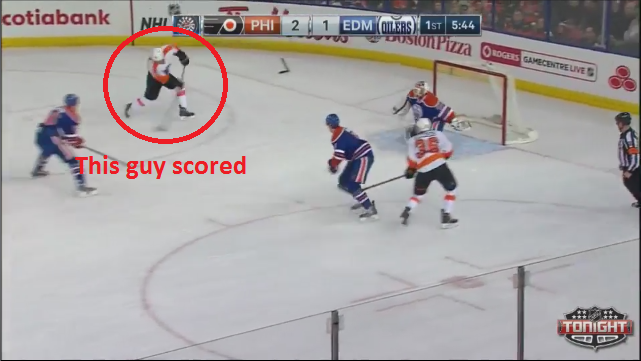 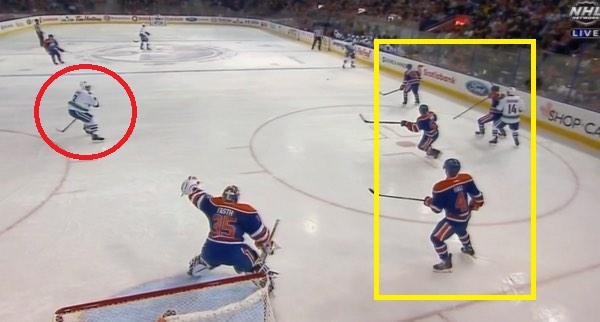 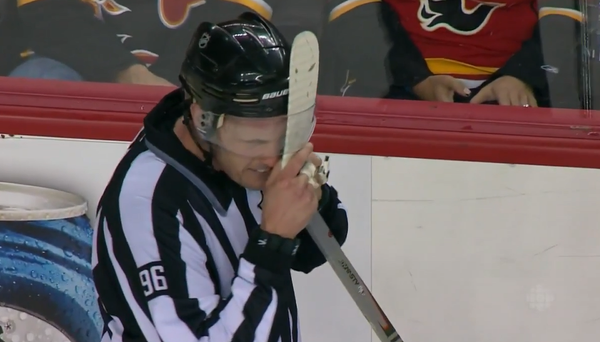 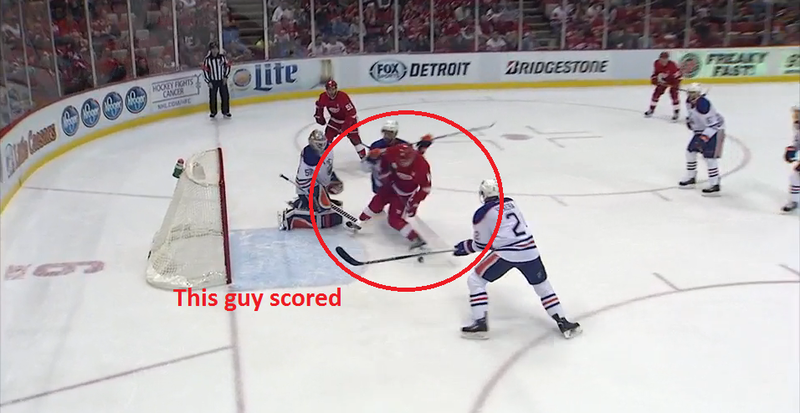 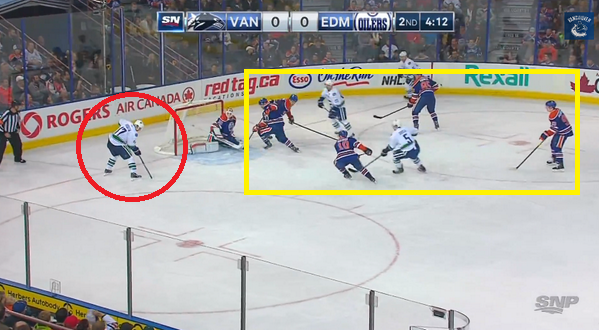 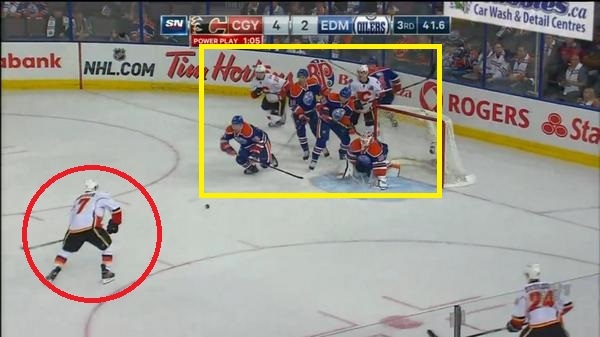 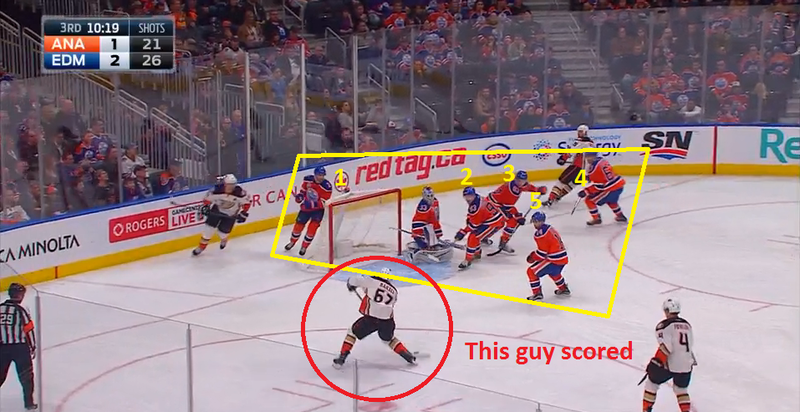 Death, taxes and the Oilers leaving guys wide open to score. 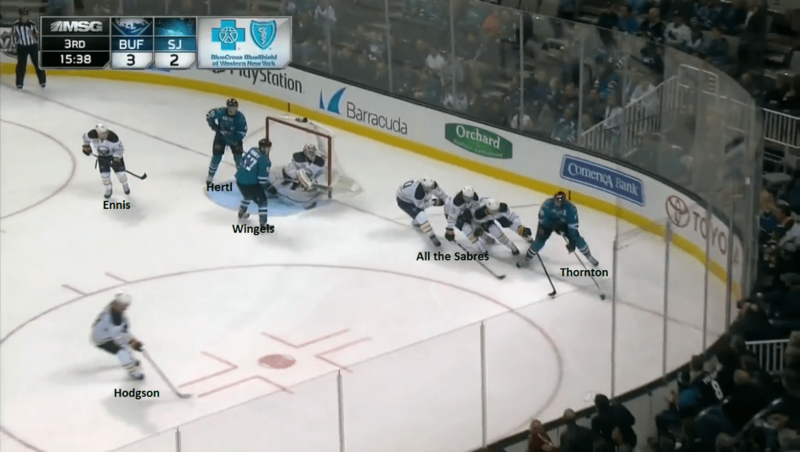 If it wasn’t for the Hall trade I might not be able to run this blog again! 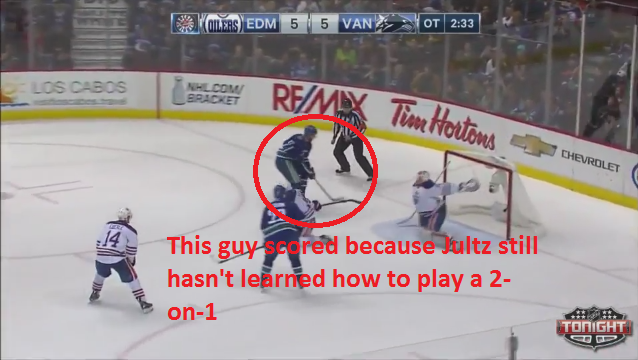 Content back to old Jultz levels. 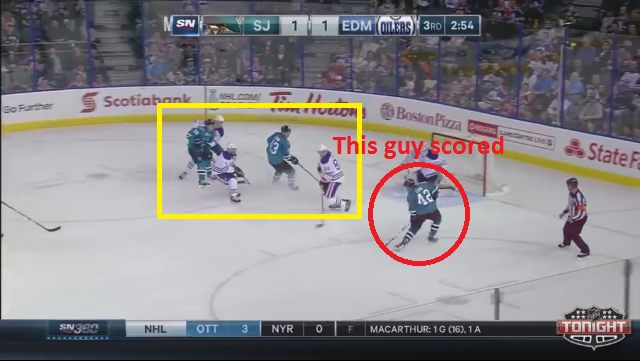 October conclusion: Adam Larsson is not Marc-Eduard Vlasic despite the narrative. 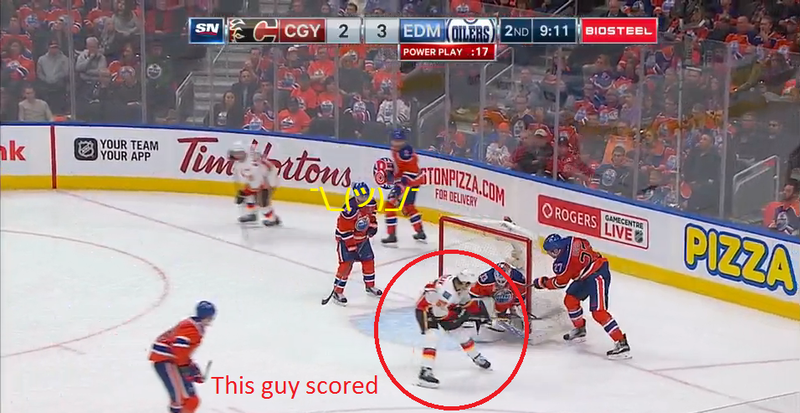 November conclusion: It’s also probably best if you ignore how often McDavid or Eberle aren’t within a mile of their man who scores. 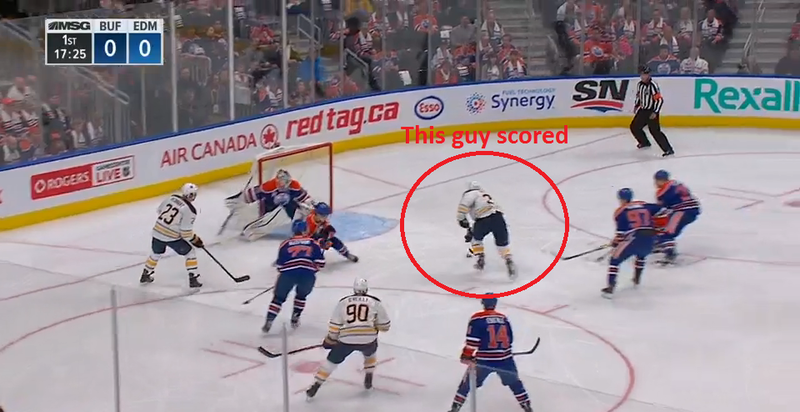 Note: While this one isn’t egregious at first glance, it made the cut essentially because Lucic (27) had good position on Gionta (12) but stopped skating for no real reason, allowing Gionta to score on an otherwise pretty well defended entry. 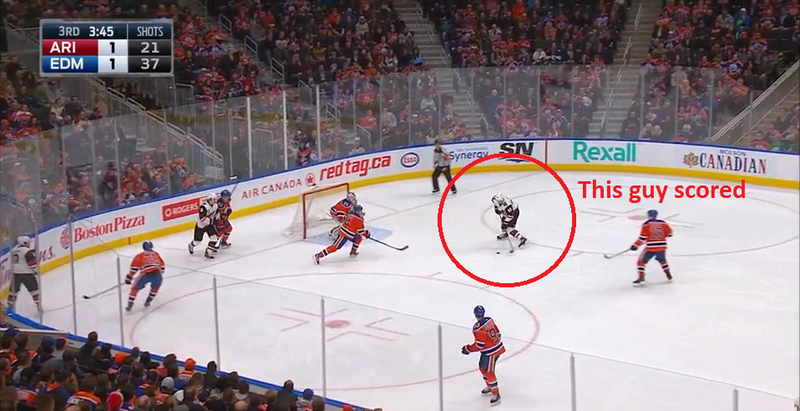 Lucic has good position at the dot, but stops moving with Gionta and opts for a lazy stick wave over the body position he had a stride before. 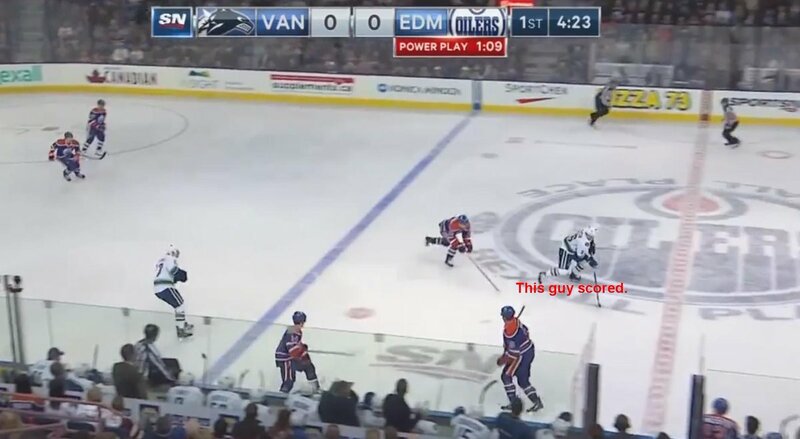 I notice it a lot doing these posts that they are quite harmless plays as they develop and then out of nowhere one of two things happen. 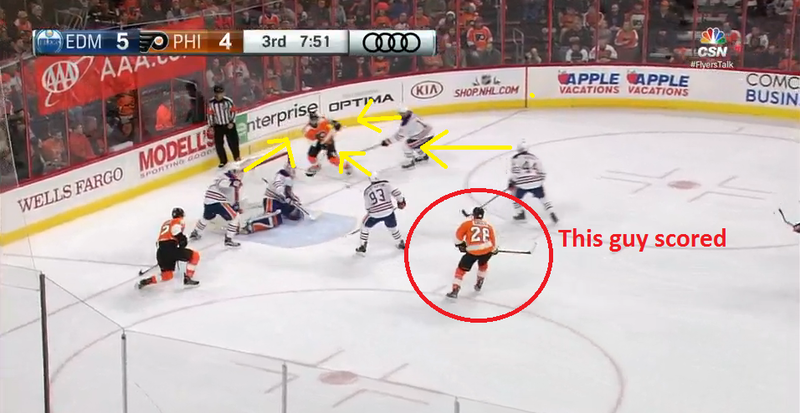 1) A forward will leave his check expecting the d-man to take over, but they don’t and you get a guy alone in tight for a redirect, tap in or one timer. 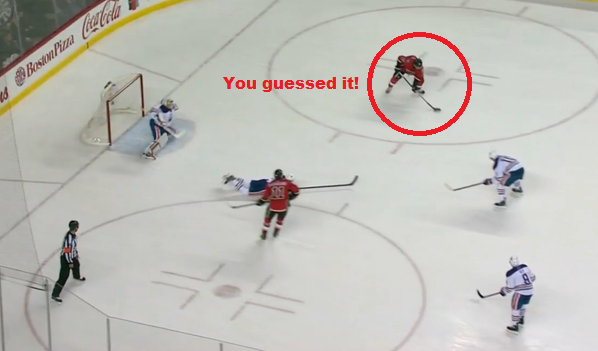 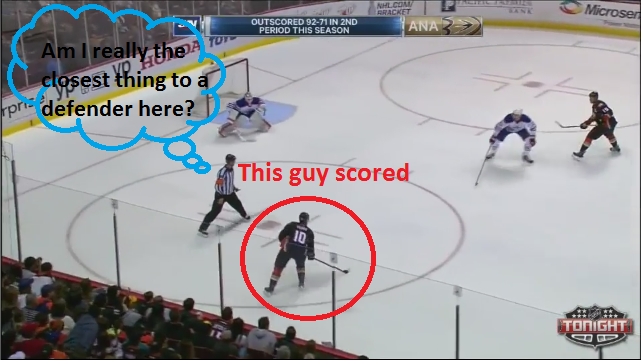 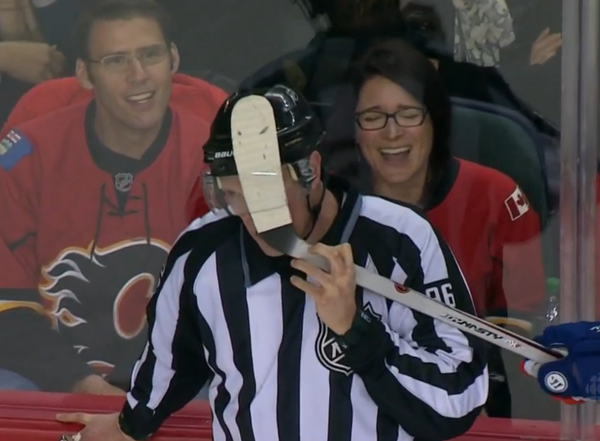 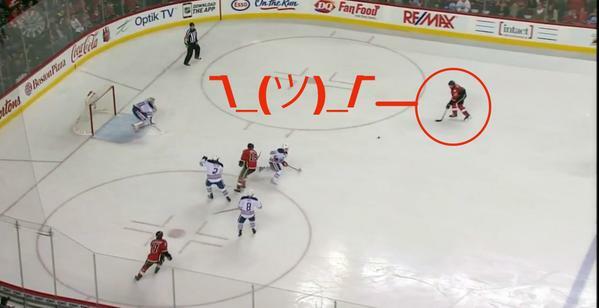 Maybe the forward is thinking “There isn’t a play here. 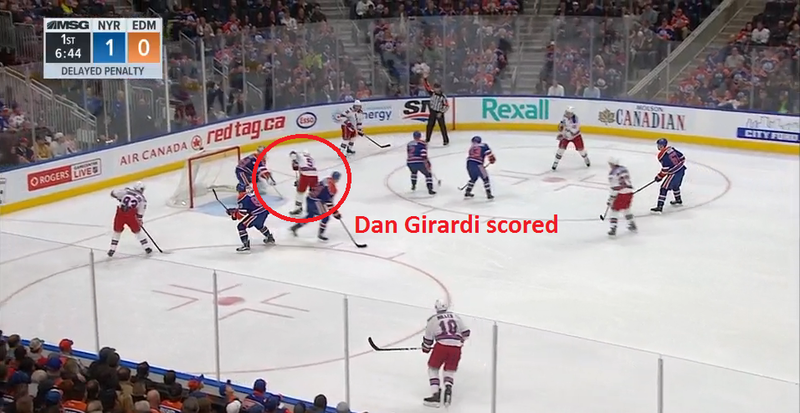 I can let the guy go, and the D & G can handle this” which is kinda how they’re taught since most teams play zone defence and not man-to-man, but the release is frequently coming too early or isn’t communicated/read at all by the defenceman/goalie. 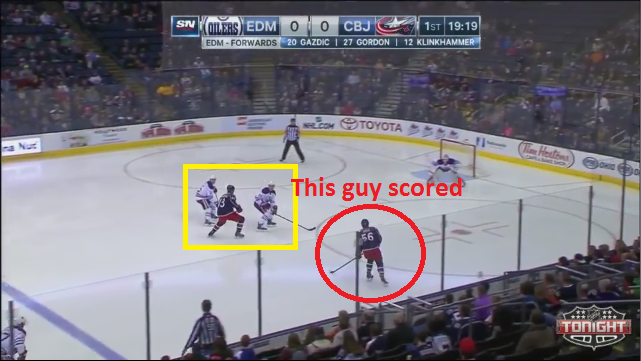 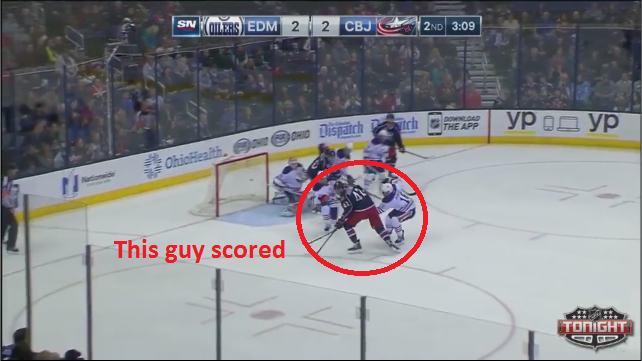 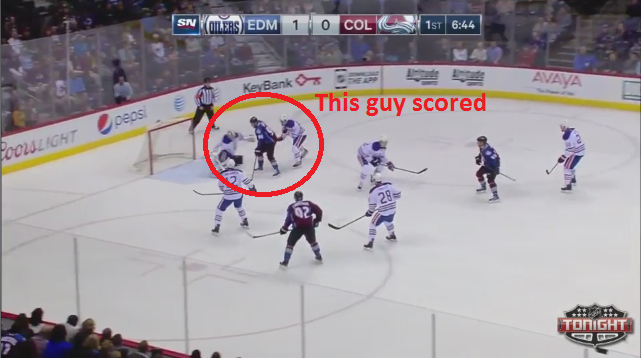 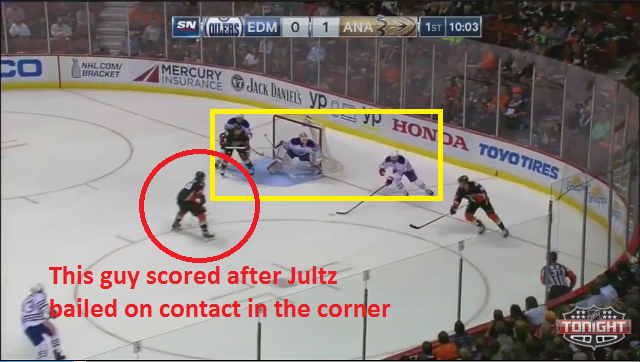 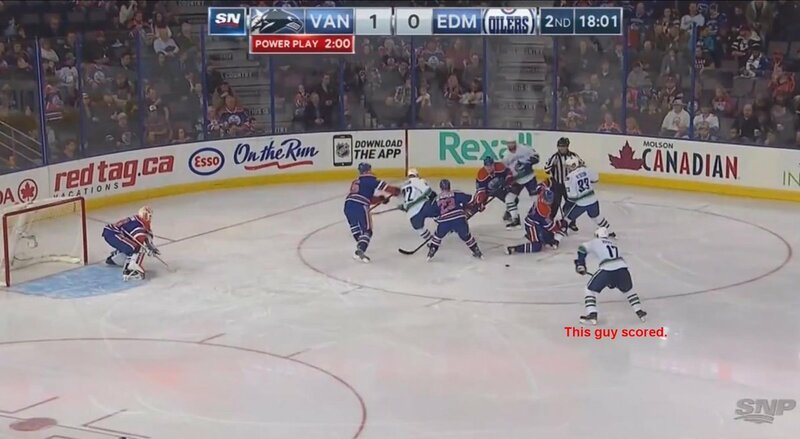 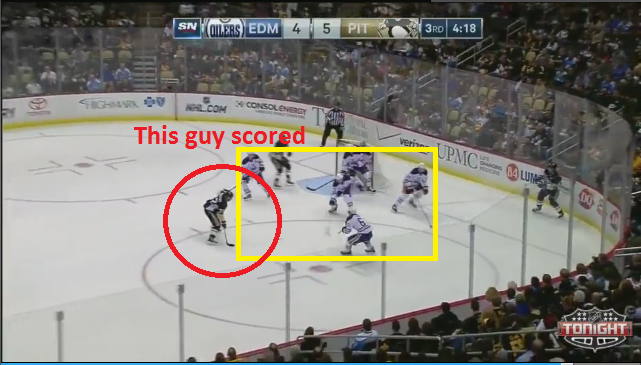 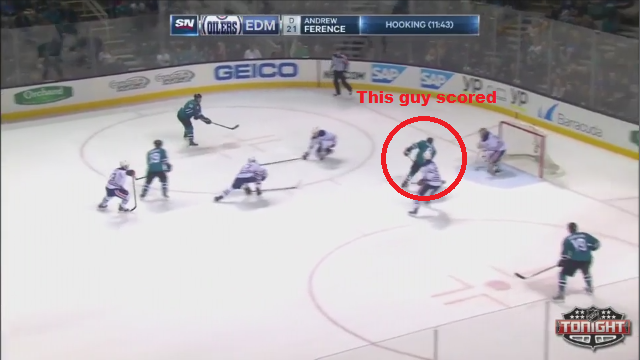 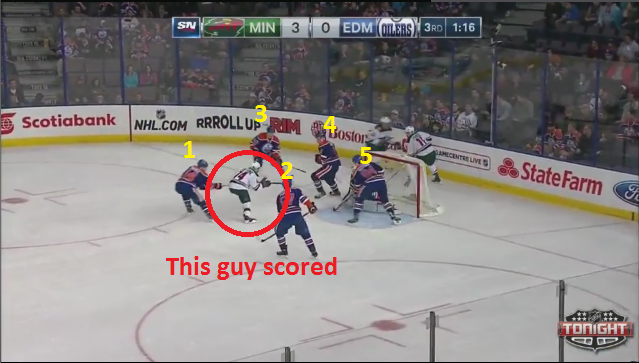 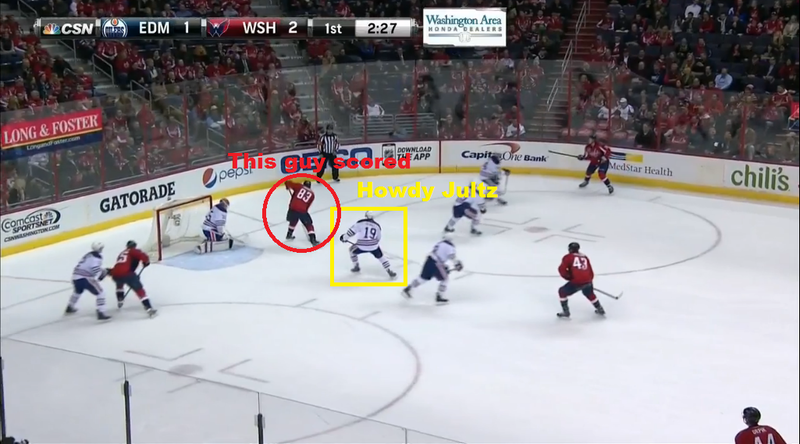 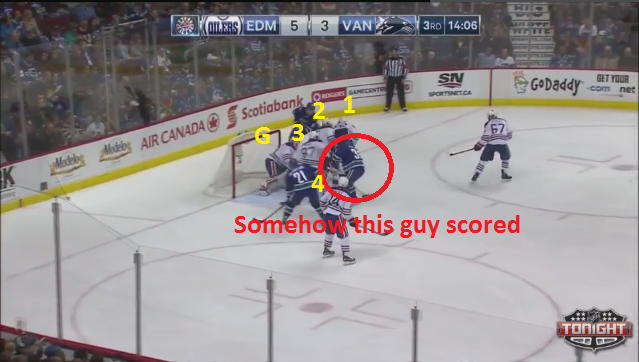 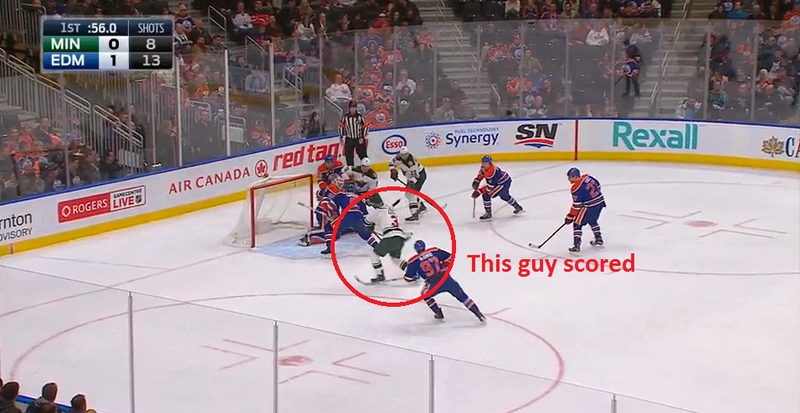 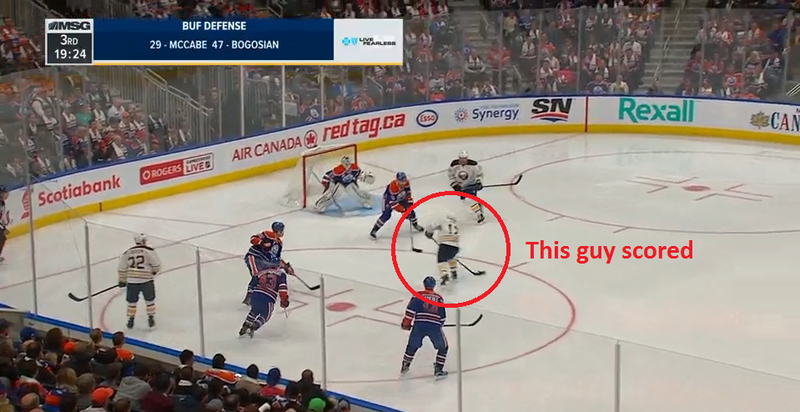 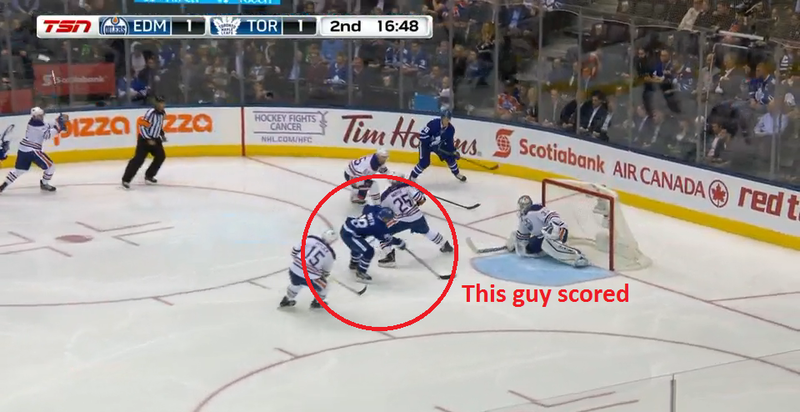 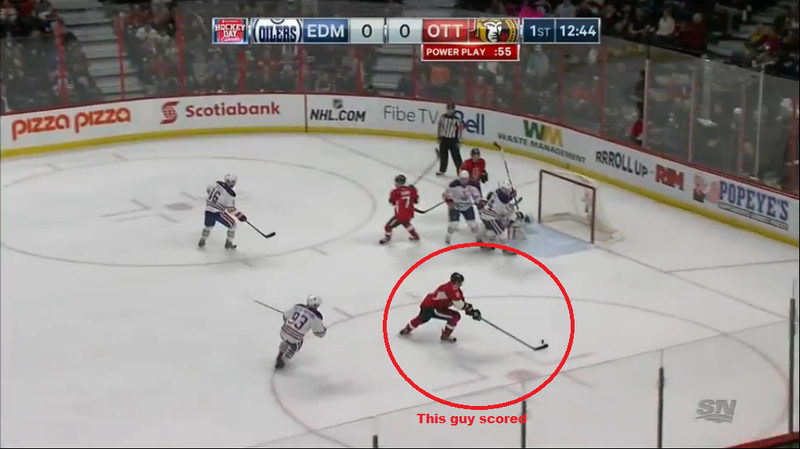 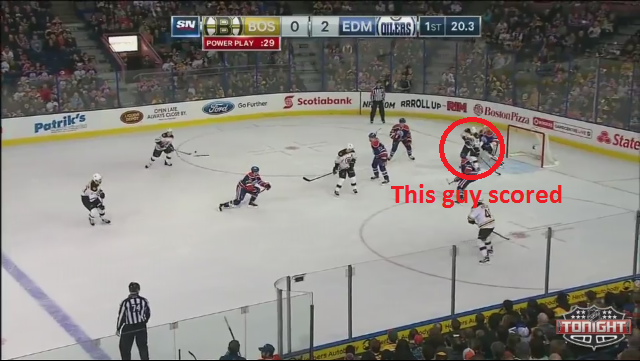 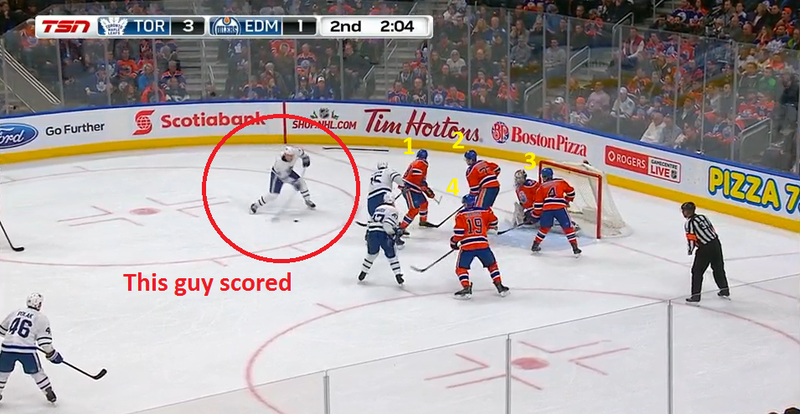 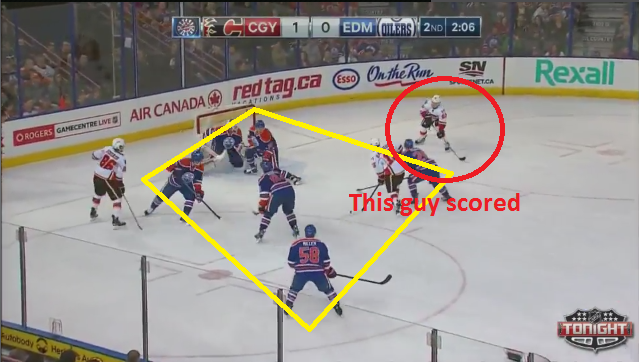 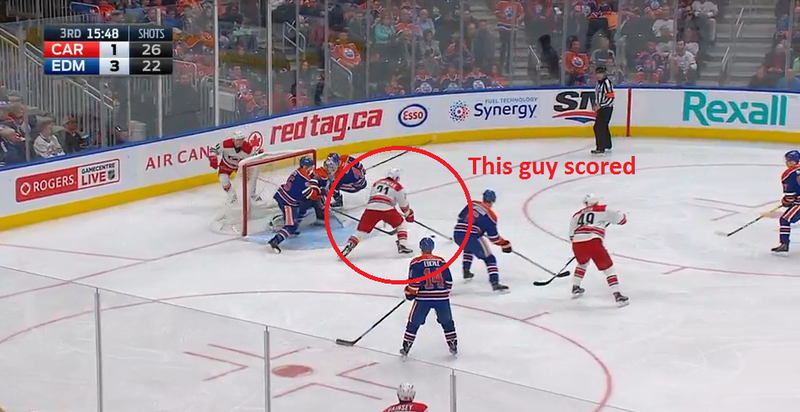 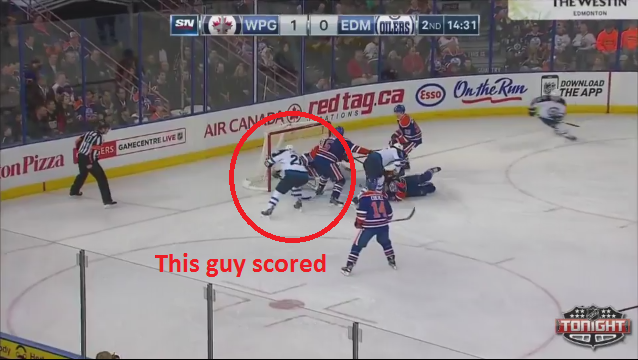 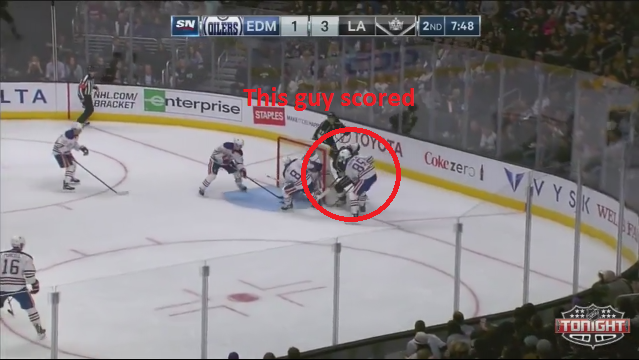 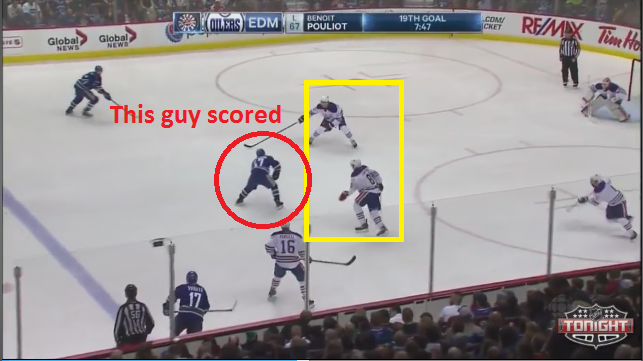 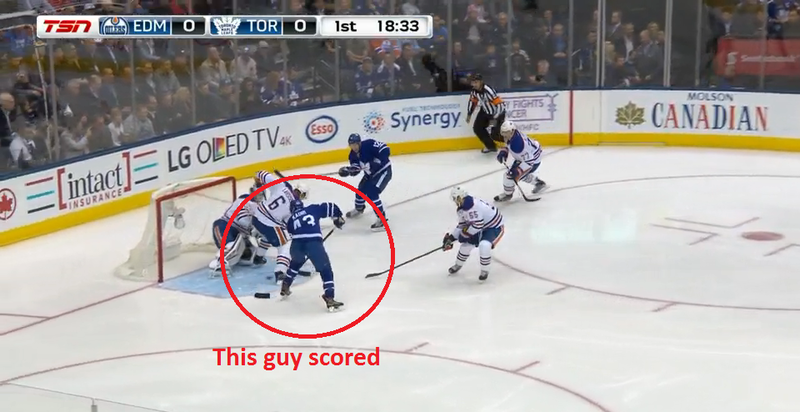 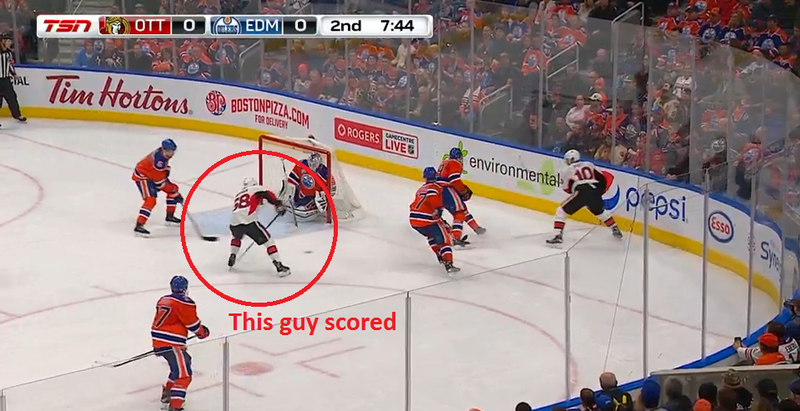 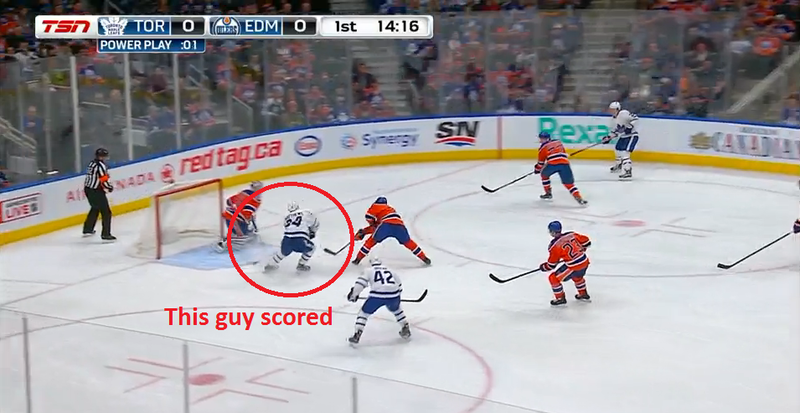 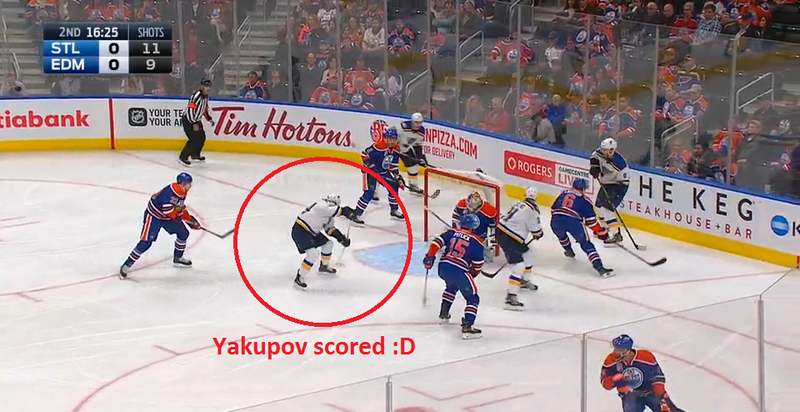 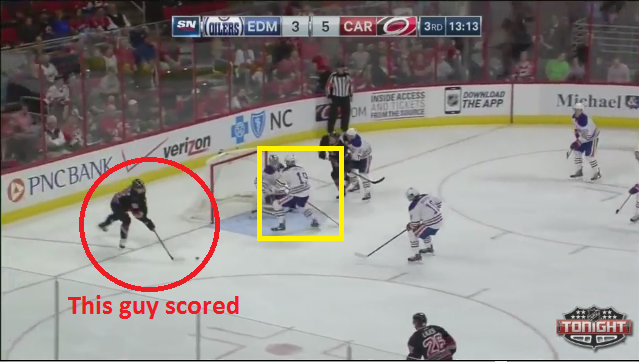 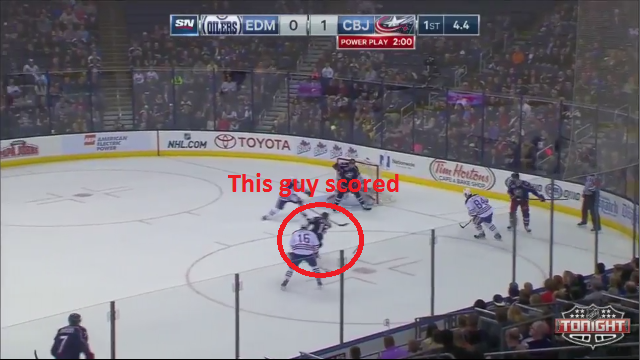 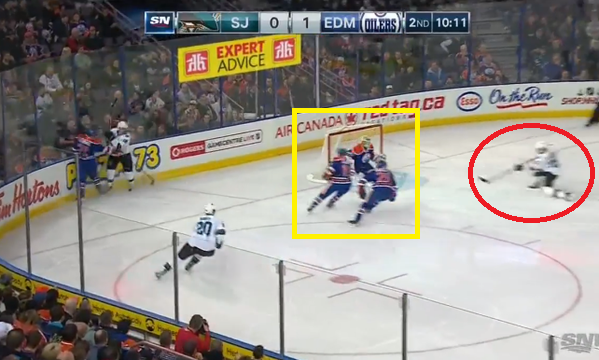 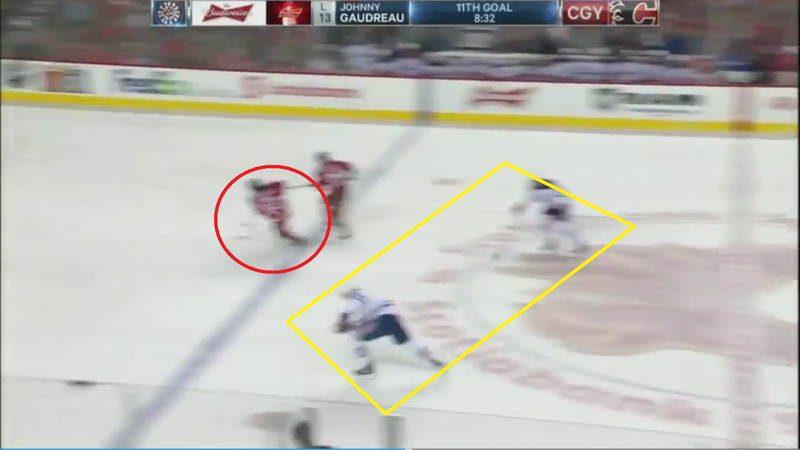 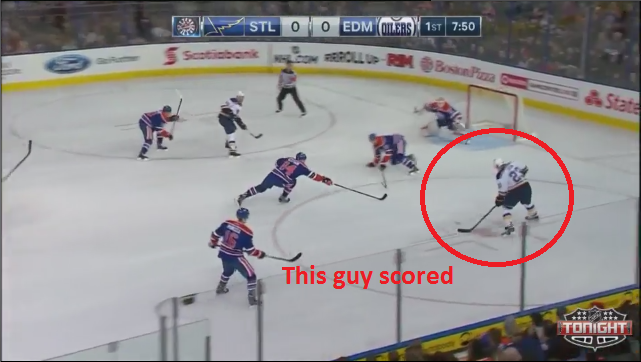 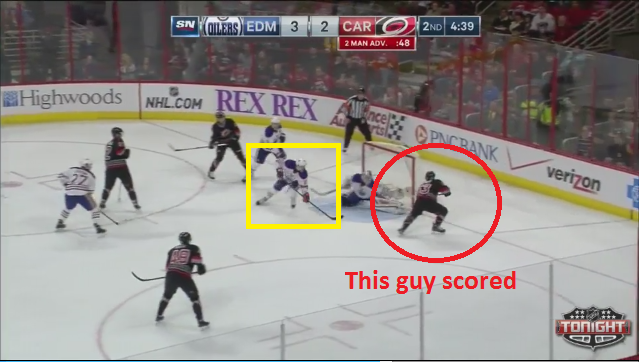 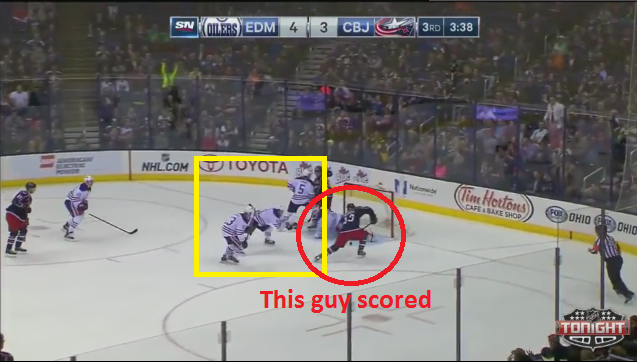 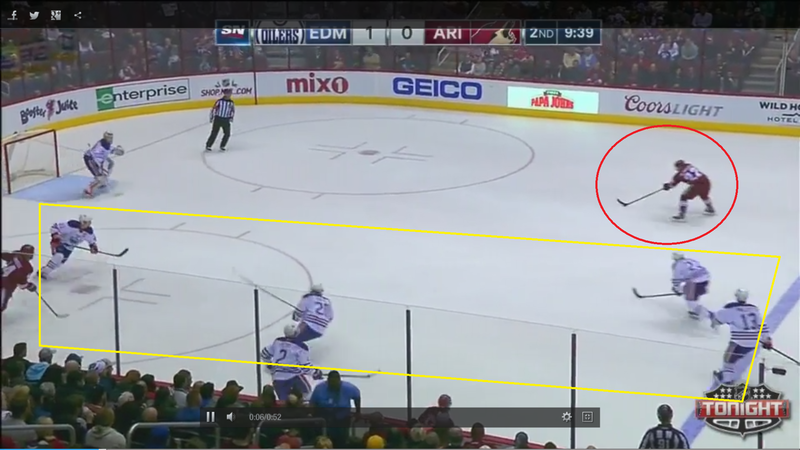 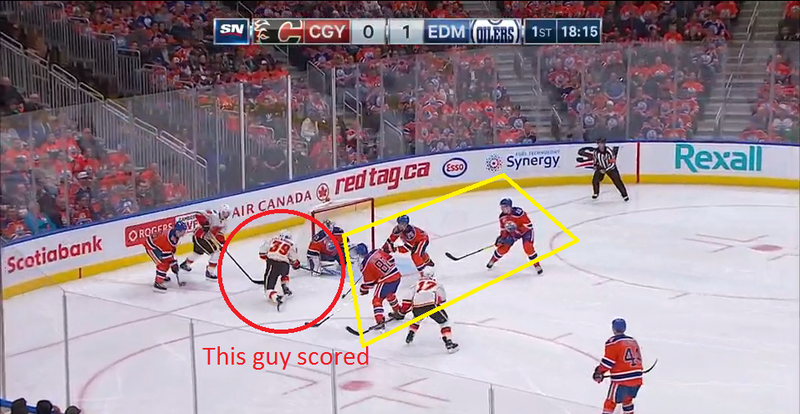 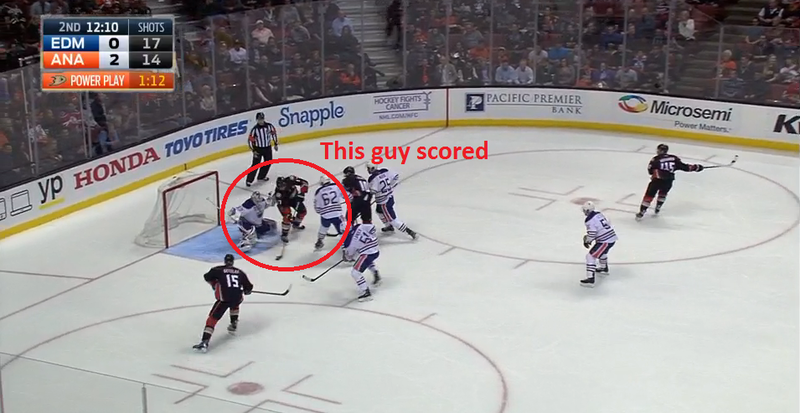 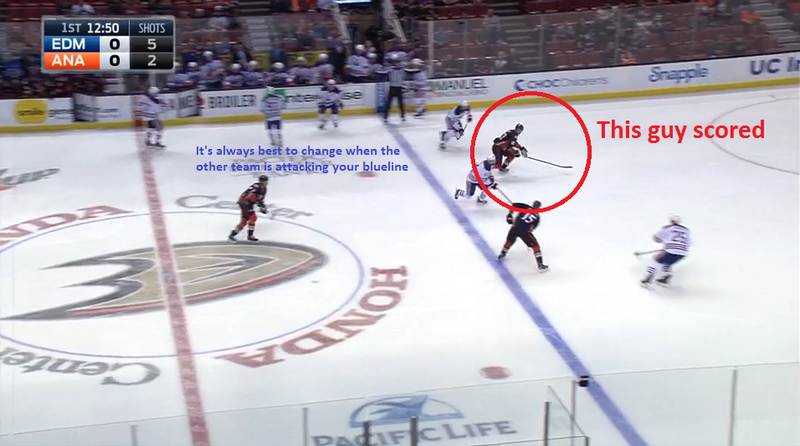 2) The Oilers will have good coverage and inexplicably a player will leave his zone/man to give a 2on1 defensively, but its almost always the wrong guy supporting ie) the guy covering the slot or back door (primary defensive forward – F1) with no one else to take over. 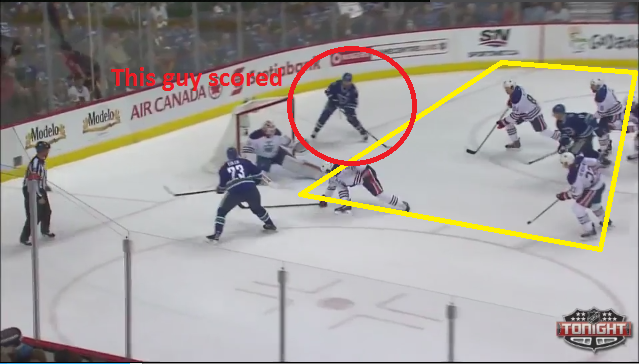 When the offensive player sees this and makes a good pass, the defender (F1, sometimes its D2) going to help is quite often in no-mans-land defensively during the scoring assist. 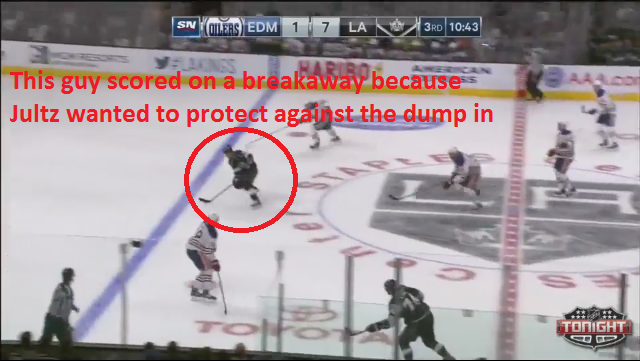 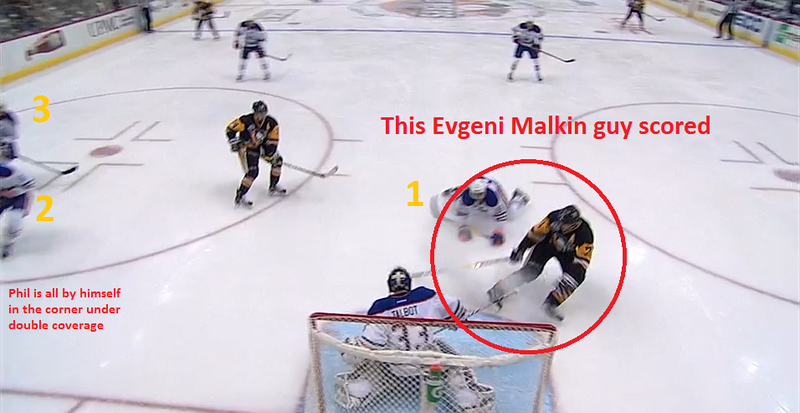 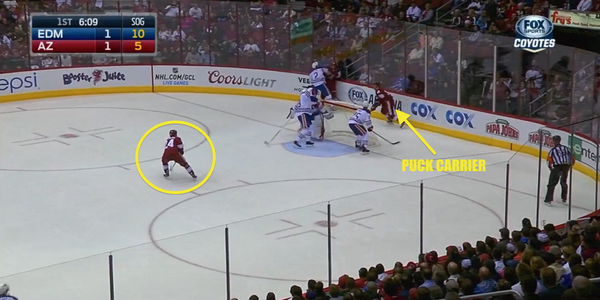 This leaves a lot of guys open in dangerous areas on what were harmless, well positioned defensively plays. 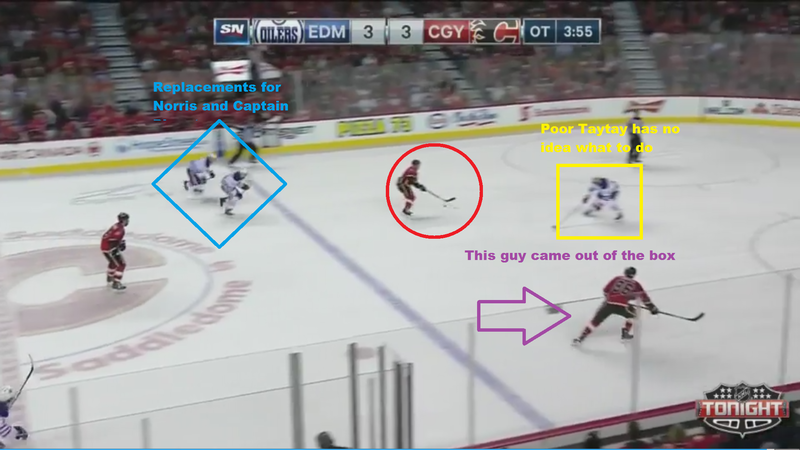 (Its often F1 on the play supporting extra [generally good] while F2 or F3 are in no position to cover for F1 [really bad]). 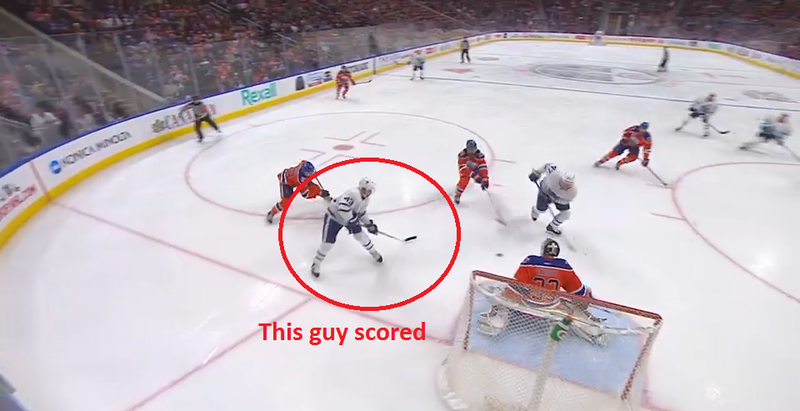 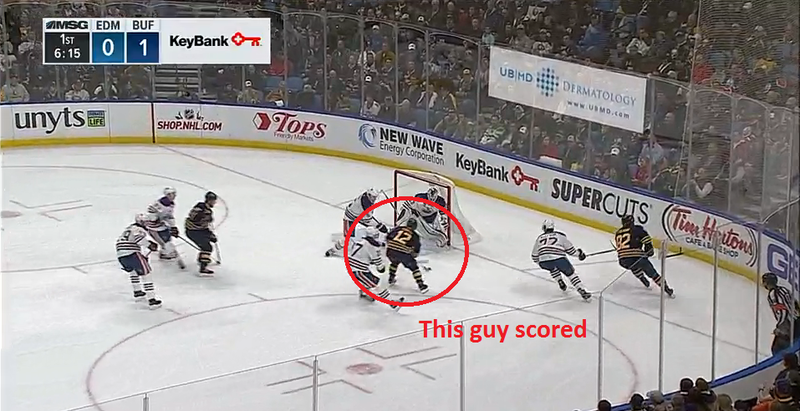 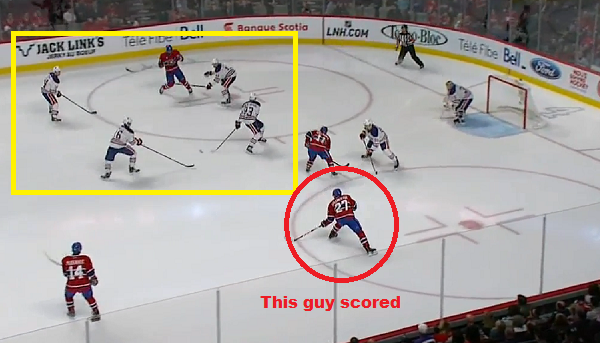 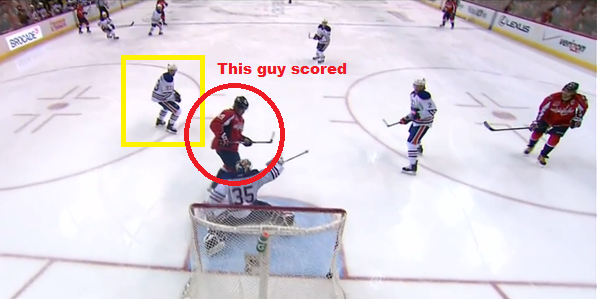 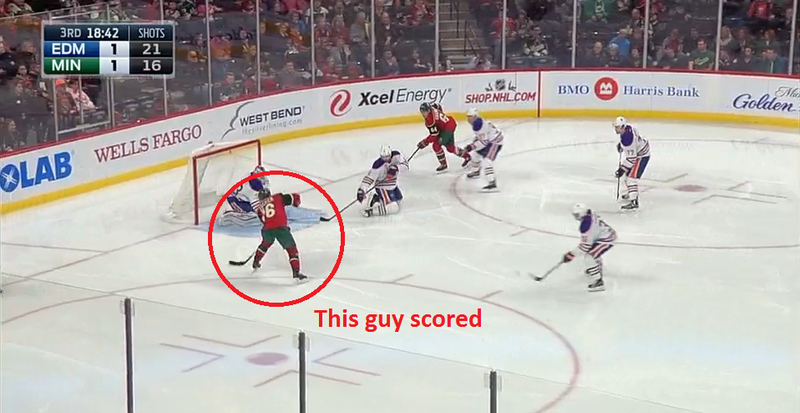 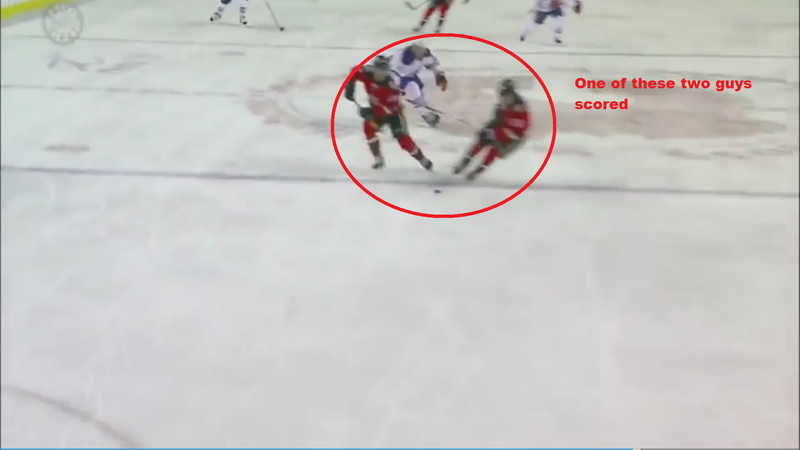 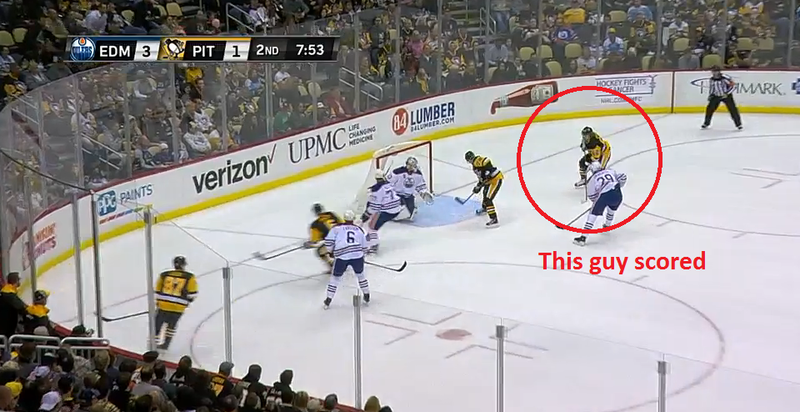 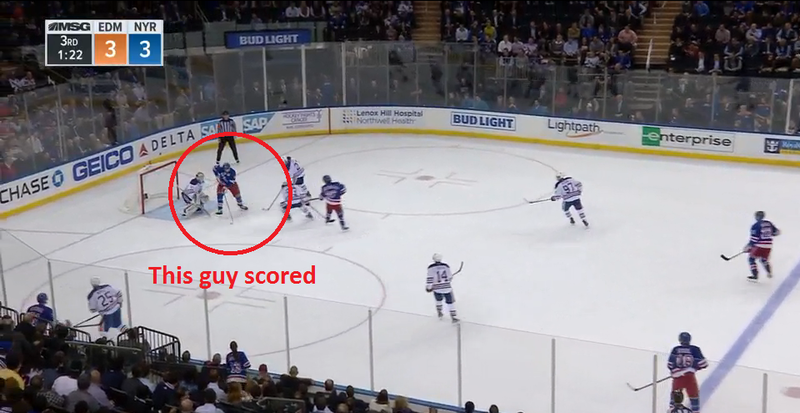 I do try to be a little fair when I do this like generally not using PP goals or goals off strange bounces/bad rebounds, but there are a good number of plays I find myself saying “Why wasn’t he covered? 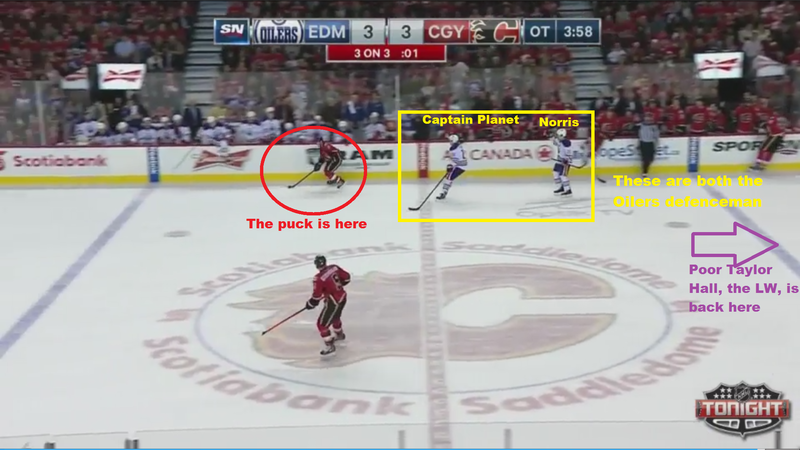 They had good position two seconds ago.” The team just seems to be so puck focused. 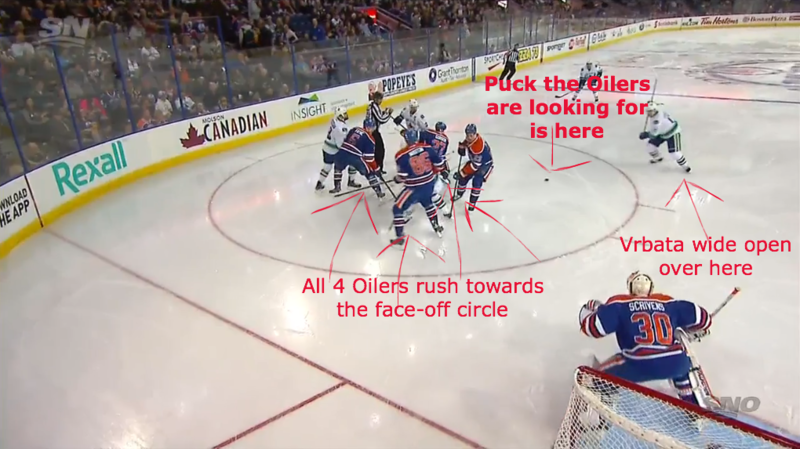 With the Oiler’s NHL season officially ending just a few days ago, I decided to go back over the last 2 months for all the #oilerzzz moments and wrap everything up in here. 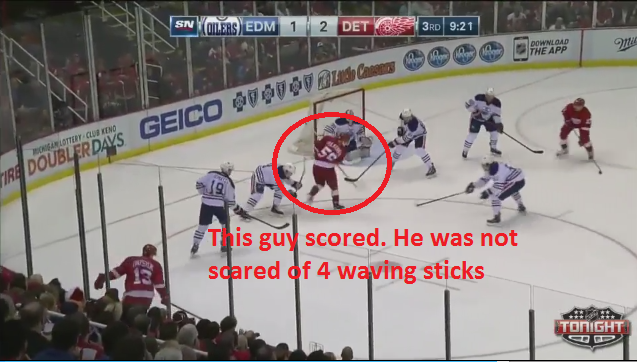 I hope you enjoy and please check out my other hockey writing at the link above!